SEOUL, South Korea - North Korea conducted at least one short-range missile test Monday, the same day it announced the death of leader Kim Jong Il, South Korea's Yonhap news agency reported. Yonhap cited unidentified government and military officials as saying the test occurred off the east coast. North Korea is urging its people to rally behind Kim Jong Il's young son and heir-apparent Kim Jong Un, as the world watches warily for signs of instability in a nation pursuing nuclear weapons. South Korea has put its military on high alert against the North's 1.2 million-strong armed forces. President Barack Obama agreed by phone with South Korean President Lee Myung-bak to closely monitor developments. While U.S. officials said there was concern in Washington that Kim's death may spark changes in military postures of North and South Korea, they were hopeful calm would prevail. "There are factions within the North Korean military that might take those steps to assert themselves. But you don't know. What you don't want right now is an escalation in the peninsula," Bill Richardson, former New Mexico governor and U.S. ambassador to the United Nations, told "The Early Show" Monday. "I think South Korea is playing it right, playing it cool. Yes, you go on military alert, but just watch things as they develop and hope that this transition is as stable as possible so you can resume some kind of dialogue with North Korea again. I think it makes sense to engage them, rather than isolate them, but you've got to watch things in the next 48 hours. I think what the North Korean military commanders say the next day will be critical." Kim's death comes as the Obama administration had been expected to decide, possibly as early as Monday, whether to try to re-engage the reclusive country in nuclear negotiations and provide it with food aid, U.S. officials said Sunday. The deal, which would have involved North Korea suspending its uranium enrichment program, is now in jeopardy and may be delayed, a senior administration official told CBS News chief White House correspondent Norah O'Donnell. Kim's death was announced by state media in a "special broadcast" from Pyongyang late Sunday. The report said Kim died of a heart ailment on a train due to a "great mental and physical strain" on Dec. 17 during a "high intensity field inspection." North Korea will hold a national mourning period until Dec. 29. Kim's funeral will be held on Dec. 28, it said. The U.S. officials stressed that North Korea's past behavior has been notoriously erratic, making predictions about its intentions difficult. However, they said they believed there would not be significant changes in North Korean policies under Kim's son and heir apparent Kim Jong Un until at least after the mourning period ends. 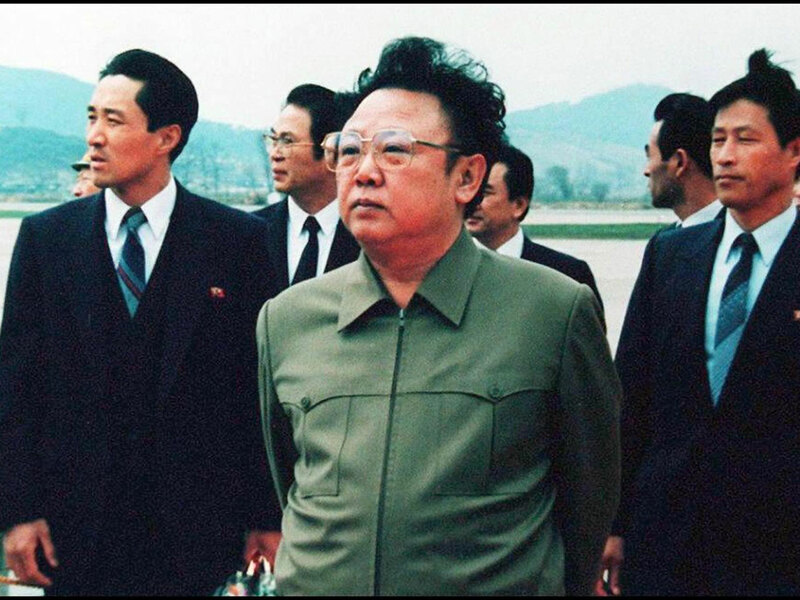 North Korea is preparing for next year's 100th anniversary of the birth of its founder Kim Il Sung  Kim Jong Il's father. The preparations include massive construction projects throughout the capital as part of Kim Jong Il's unfulfilled promise to bring prosperity to his people.